Sun TV has purchased the satellite rights of 7am Arivu. Going by Udhayanidhi Stalin’s habit of selling his films only to Kalaignar TV and Vijay TV, he has chosen Sun TV this time. Kalanidhi Maran met Udhayanidhi Stalin at the Maran Towers and they reportedly worked it out there. Sun TV has purchased the film at a whopping Rs. 7 crore. 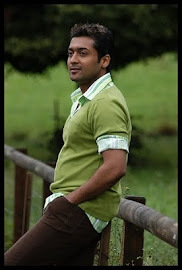 In addition to it, the audio launch to be held at Singapore on September 10, 2011 will be telecast live on the channel. 7am Arivu has Surya and Shruti Hassan in the lead while AR Murugadoss returns to Tamil with this film. Udhayanidhi Stalin produced the movie under his Red Giant Movies banner. Although Sun TV has expected the release rights of the movie, Udhayanidhi Stalin has held it up. It would be wise to release the film through some neutral production house, say trade analysts. All three biggest releases of the year have gotten closer to their release dates.